Free admission but tickets required. Canada-Israel Cultural Foundation, in partnership with Jewish Music Week, is proud to present this high-energy hour of music. Be part of The New Classical FM’s live studio audience & discover one of Israel’s newest musical treasures! Israel’s Berkovsky-Mirzoev-Sarid Trio perform exciting music by Israeli composers Paul Schoenfield and Ilan Rechtman, among others, who fuse together jazz and classical tunes. 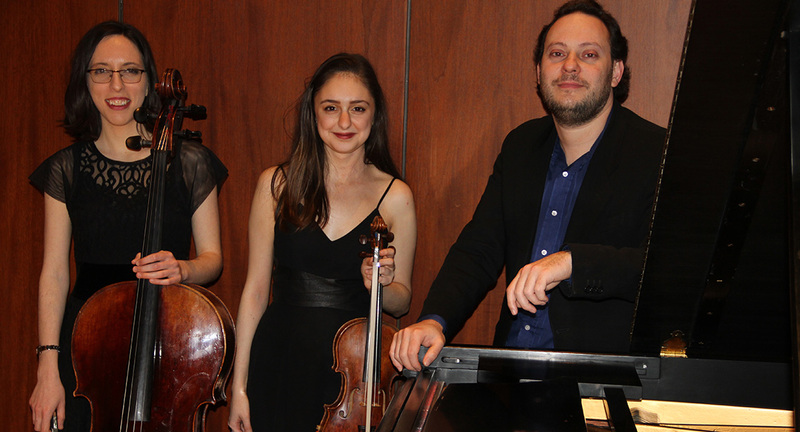 Not just chamber music — it’s the traditional piano trio in a whole new light. This fresh performance by superb musicians will leave you smiling for the rest of the day! If you can’t join us in person, tune in at home or in your office at www.classicalfm.ca to hear this sensational hour live on radio or computer!